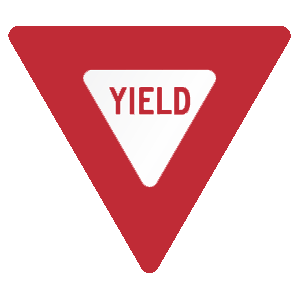 If you drive past these signs, you are going the wrong way and are at risk of a head-on collision. You should cautiously turn around. Allow the motorcycle to use only half of a lane. Pass using the same lane as the motorcycle. A motorcycle is a full-size vehicle with the same privileges as any other vehicle on the roadway. You should allow a motorcyclist a full lane width. Although it may seem as though there is enough room in the traffic lane for a larger vehicle and a motorcycle, remember that the motorcycle needs room to maneuver safely. Brake hard and turn sharply back onto the pavement. Stop your car on the edge of the road. Slow down and very carefully turn back onto the pavement. Maintain your speed and turn sharply back onto the pavement. If your wheels drop off the pavement and onto a low shoulder, you should reduce your speed without braking and very carefully turn back onto the pavement. Be aware of any nearby traffic when re-entering the road. May not exit the freeway. May either continue through the interchange or exit the freeway from your current lane. May stay in your lane and continue through the interchange. Must exit the freeway, if you stay in your current lane. 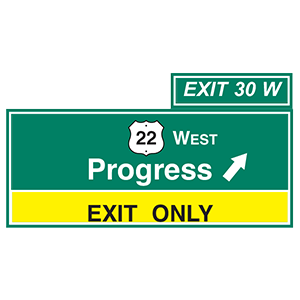 If a yellow panel with the message "Exit only" is on a highway sign, the lane below the sign will not continue through the interchange. Instead, the lane will go off of the roadway to form a ramp. 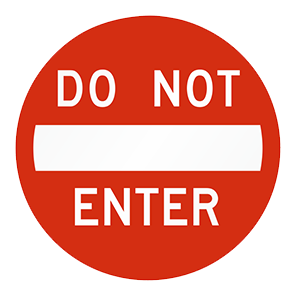 If you are in a lane directly under an "Exit only" sign, you may change lanes to move through the interchange or you must exit the highway.